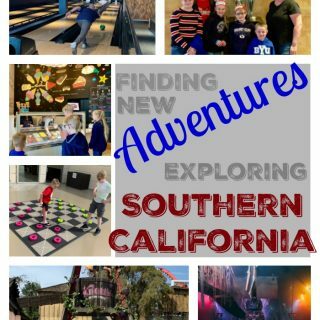 You are here: Home / Activities with Kids / Turbo Coloring Pages and Activity Worksheets! 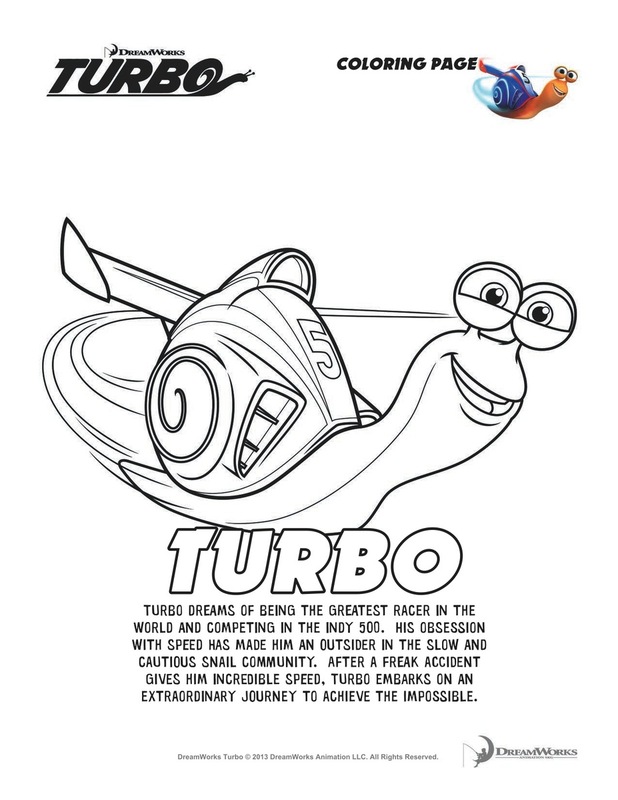 Turbo Coloring Pages and Activity Worksheets! 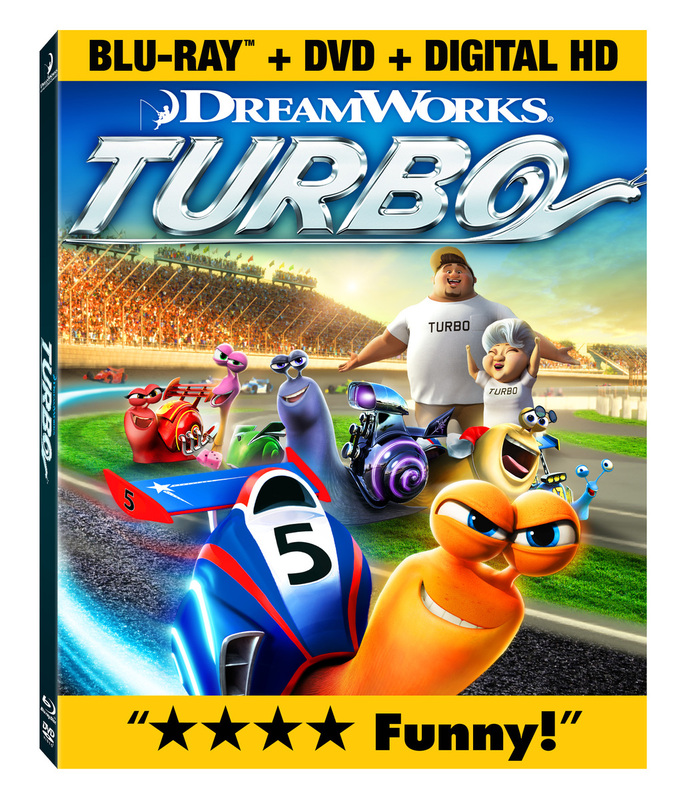 I received a copy of Turbo as a thank you for this post. 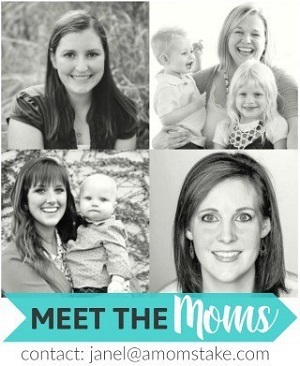 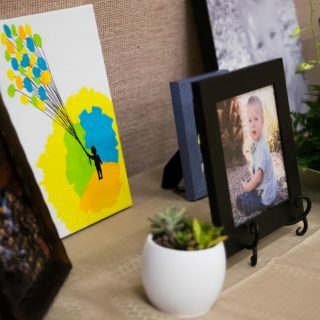 To celebrate this fun new movie coming to Blu-ray, I have some awesome free printables to share with you! 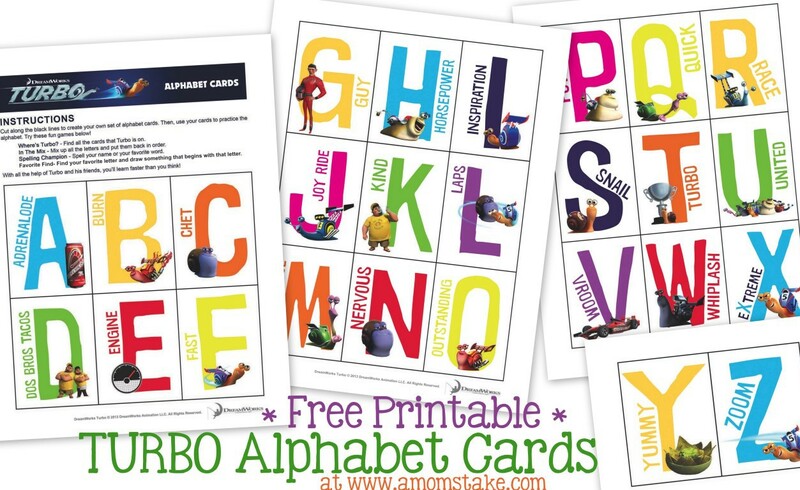 This adorable cards can be used to help practice ABC’s with your child or try one of the games included on the instructions worksheet. 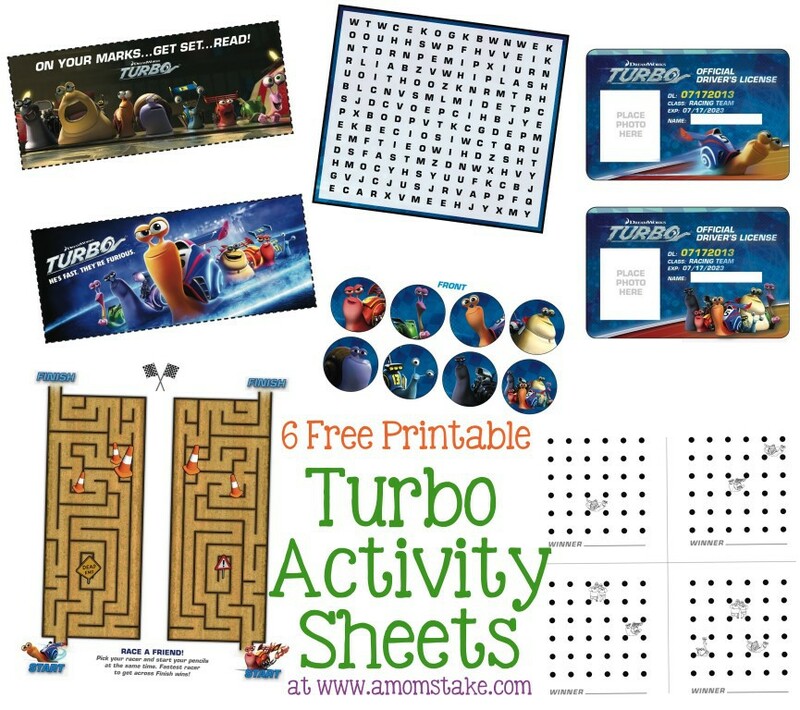 Your kids will love to play these fun activity worksheets with their favorite Turbo characters! 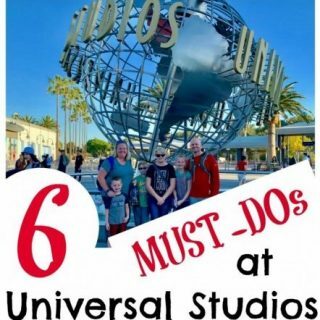 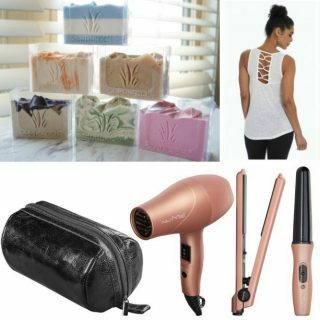 This set includes 2 bookmarks, a word search, maze race with a friend game, dots and boxes game, party cupcake toppers that could also be used to make your own pogs, and your own official Turbo driver’s license! 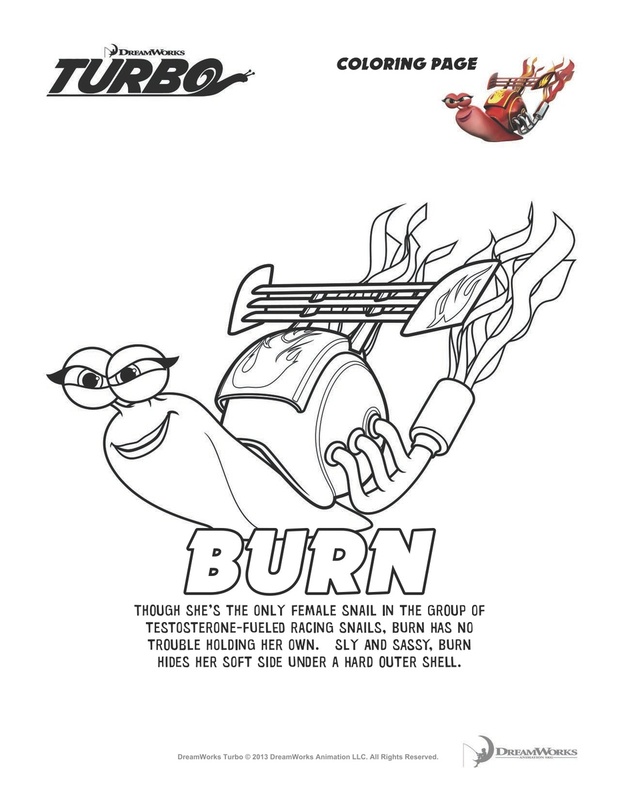 These free printable Turbo coloring pages feature two of the favorites from the show – Turbo and Burn!